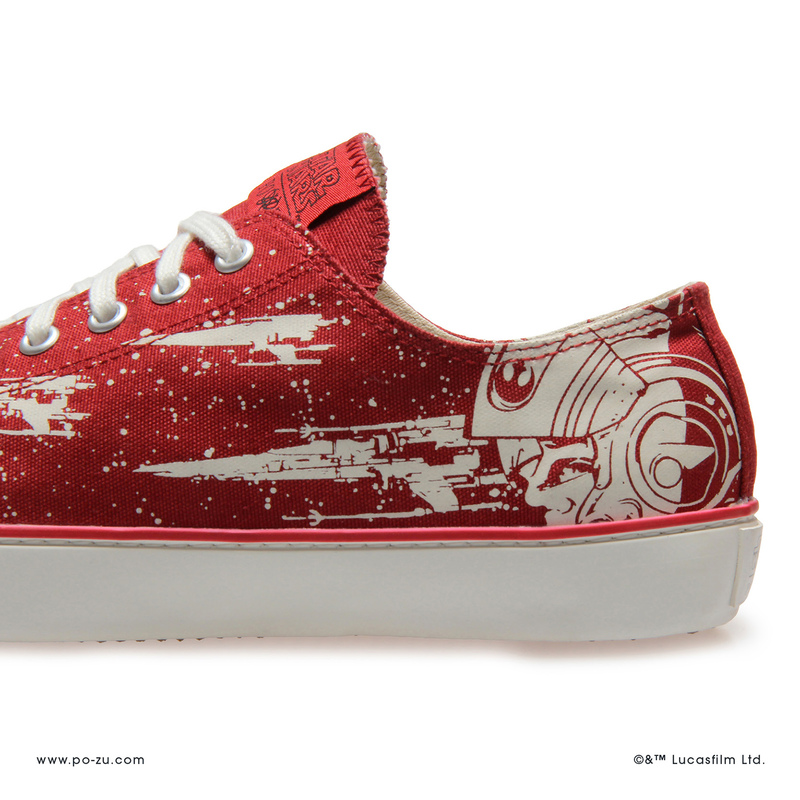 Looking for a new pair of sneakers to wear at Star Wars Celebration? 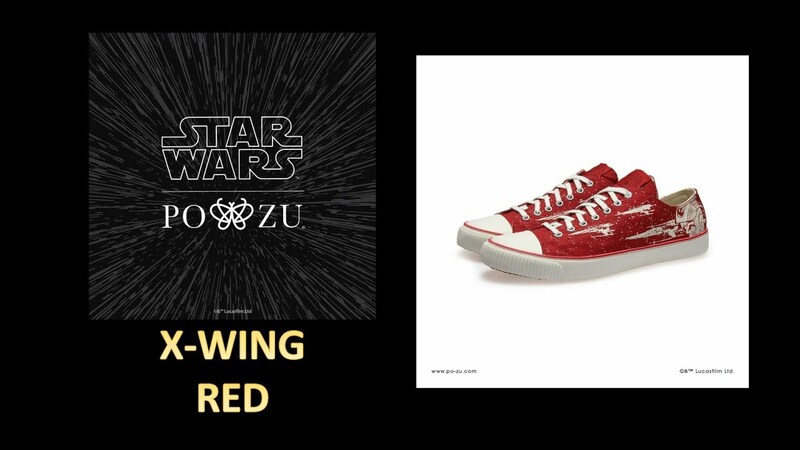 The newest Star Wars™ | Po-Zu vegan, unisex and ethical sneakers have just been announced by Po-Zu Shoes. The dashing X-wing pilots of the Resistance, meet sneakerhead with the launch of their latest Star Wars inspired sneaker the X-Wing! It is available to buy now and will be shipped in time ready to wear at Star Wars Celebration! Fantha Tracks got a first hand look at this new sneaker with team Po-Zu at their headquarters in London. 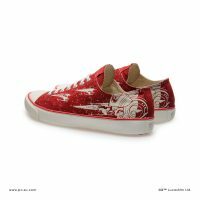 Check out the video to see the sneaker, which has a vivid schematic detail of X-wing fighters in action surrounding a striking helmet design, screen-printed onto organic cotton canvas with a red embroidered label and foxing detail. In the video Kate explains how the newest Star Wars inspired vegan unisex sneakers feature fair trade rubber soles that are stitched to the shoe to provide durability. 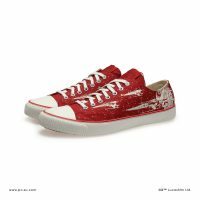 Po-Zu is the first brand to publish designs worn by the main characters in the films like Rey, Poe, and Finn,whilst building sustainable materials and ethical manufacturing into the mix making these sneakers truly hard to RESIST! Po-Zu support local communities and the environment by using much less water and pesticide treatment than conventional cotton and the X-WING is made with materials available close to the workshops ̶ the coconut husk is found locally in Sri Lanka and the natural rubber is tapped from tree plantations two hours away from assembly. 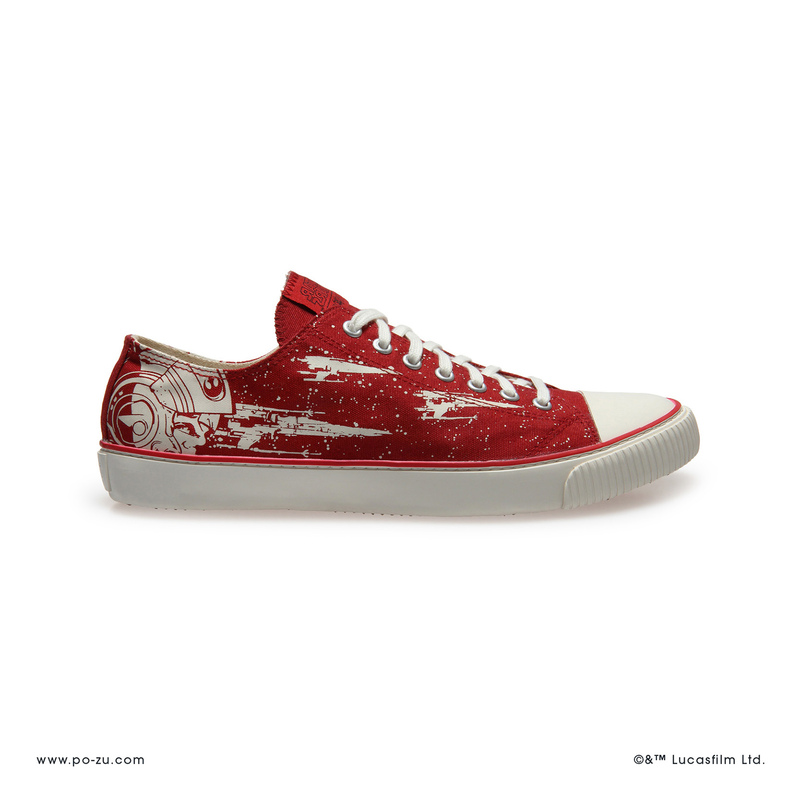 If you want to try before you buy and you are at Star Wars Celebration in Chicago, April 2019, you will be happy to hear that Star Wars Celebration attendees will have the opportunity to try-on and buy the X-wing Pilot sneakers at the Po-Zu stand #5315, while stocks last!